Uber loses to China’s Didi, or does it? Automologist MAC reports the sale of Uber in China, but what the American ride-sharing company lost on the swings, it looks like it gained more on the roundabouts. Uber, the global ride-sharing service, has announced the sale of its China operations to its bitter rival, Didi Chuxing, in a move that ends its quest to be the dominant player in what may become the world’s largest taxi market in years to come. 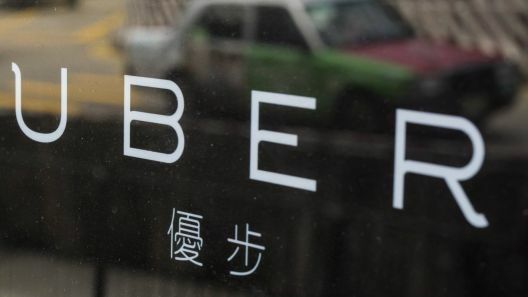 Uber’s head honcho, Travis Kalanick, had made China a top priority for Uber and was known to make frequent visits there whilst pouring billions into the market, as the service expanded into 60 cities across the country. China, though, has proven a tougher nut to crack than expected, especially after the merger of Didi Dache and Kuaidi Dache that formed Didi Chuxing, which was seen as an effort by the two former foes to fight off the foreign competition. In February of this year, Kalanick announced that Uber was losing about a billion dollars a year in the territory as it grappled with Didi Chuxing for market share, subsidising drivers and prices in an effort to capture more customers and hence market share. This would have been a huge roadblock for any future Uber IPO as loss-making subsidiaries always make investors nervous. The deal may seem like an admission of defeat by Uber, but in reality it may be an absolute triumph. Both companies were burning through investors’ money at an alarming rate, with Didi Chuxing having just raised an eye watering USD7 billion dollars to fund its continued growth, one billion of the money coming from Apple, which of course has its own autonomous car programme in the pipeline. The deal does call into question some of the other alliances that Didi had been forging with other global ride-sharing services, such as Lyft and Grab, in a global effort to halt the inexorable march of Uber. It was no secret that Didi had agreed to work with Lyft, Ola and Grab to create an entity to take Uber on globally. Grab CEO Anthony Tan said in a statement on Monday that the impending deal is a victory for Didi and underscores how the ride-hailing business favours domestic players. And of course Uber is not walking away from the Chinese market; it will get a 18% share of Didi Chuxing, which is about the market share they had before, and Kalanick gets a seat on the board over at Didi as well. Uber will also maintain the use of its own app for the time being. So, for little or no future investment, Uber will have a share of the world’s largest single transport market. I think that is called sweeet.